So the fact she is the only player not based in Brisbane in the under-19 Queensland softball side is no surprise. 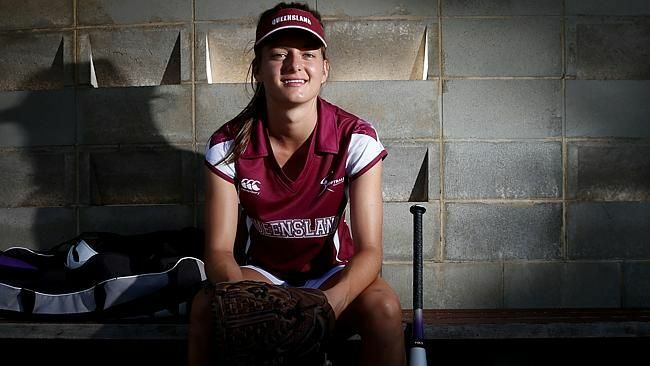 The outfielder will make her state debut at the National Championships in Adelaide on January 11, adding another feather to a cap that was crafted playing sport against her twin brother on the farm every afternoon. 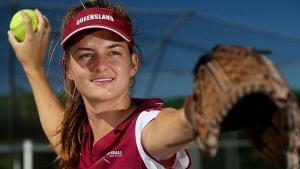 She will be joined by Cairns product Samantha Hodgman, who has just moved to Brisbane. The 18-year-old is the sixth generation of the Collins family’s Spring Creek Station, which spans 86,000 acres and holds 6000 head of cattle. With sport on her mind, Fox moved to boarding school in Charters Towers for Years 7-9 before heading north to Trinity Anglican School on a swimming scholarship for the remaining years of high school. 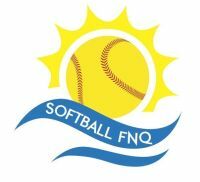 Now living in Cairns with her uncle so she can work, train and coach junior softball, Fox admits she misses time on the farm. “I love going home; we used to play cricket, soccer and rugby all the time,” she said. While softball is the focus right now, Fox admits she has not put all her eggs in one basket just yet. “I have done athletics, softball, rugby sevens, netball and I guess I’m keeping my options open; it’s hard to choose and I don’t really have a favourite. I just love all sport,” she said. But there is no danger of her not appreciating the tournament, given she has had to save vigorously and apply for grants and funding to afford the trip. “I’ve been filling out lots of forms lately,” she laughed.